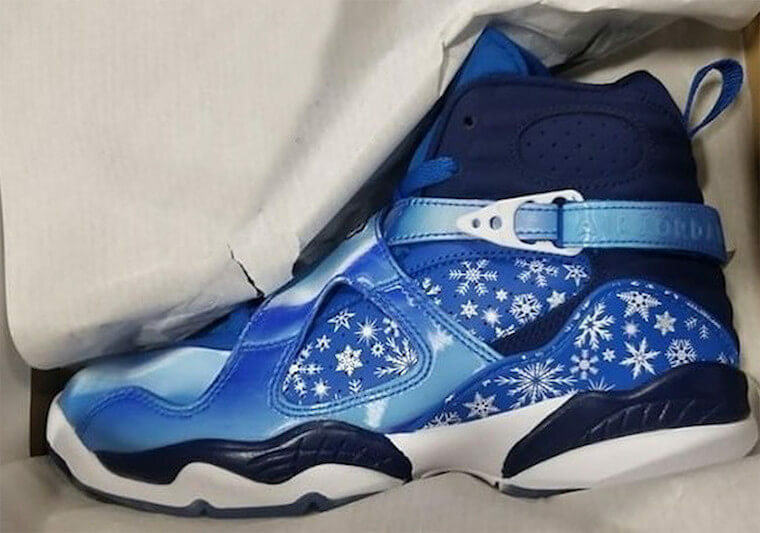 Jordan is expanding their Air Jordan 2018 Holiday Collection with a new grade school exclusive Air Jordan 8 sneaker that nods towards the upcoming snowy winter. The shoe basically features a Chilly blue, Navy and White color scheme where Chilly Blue dominate most of its upper. 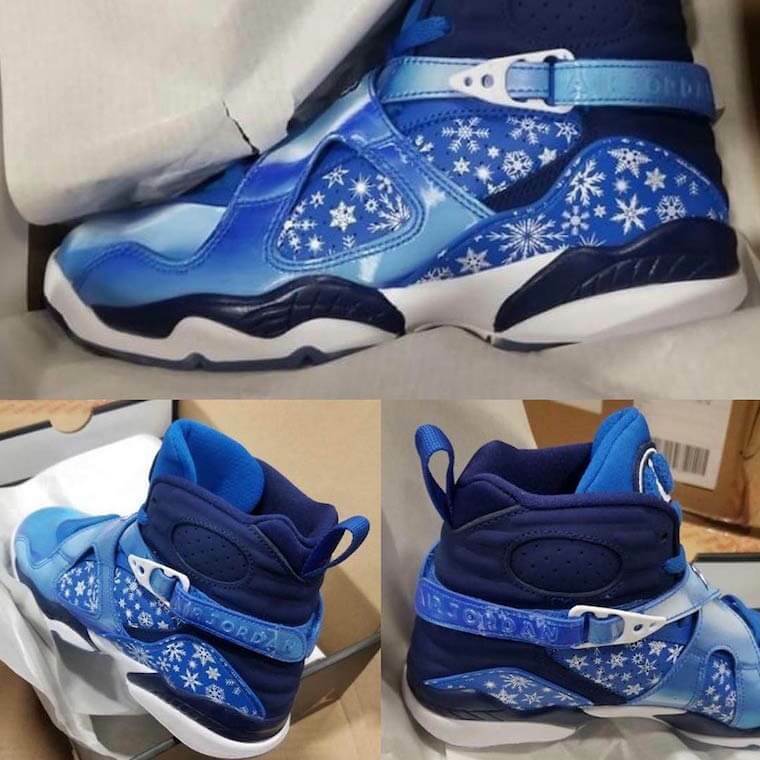 This particular Air Jordan 8 has been complemented with snowflake print placed over its midfoot and heel counter area. Furthermore, adding to its design is the patent leather crossing straps reflecting an icy vibe. At last, completing the whole design altogether is a two-tone Navy and White outsole. Check out more detailed images below and wait for these to release in GS sizing during the latter part of this holiday season at any select Jordan Brand retailers.